Thailand is one of the pearls of Asia. Long territory surrounded by water, it is full of temples and imposing sites popular with tourists. 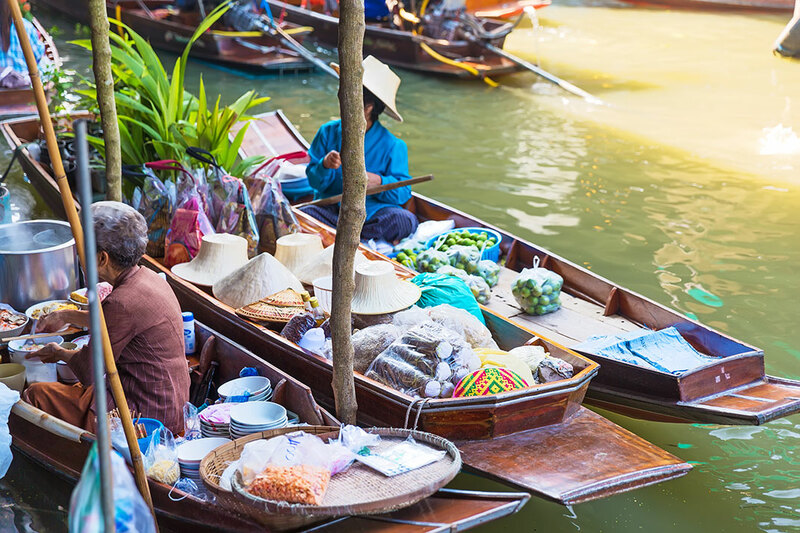 The floating markets of Bangkok are a real delight for the senses. We present one of the best markets on the country’s water. 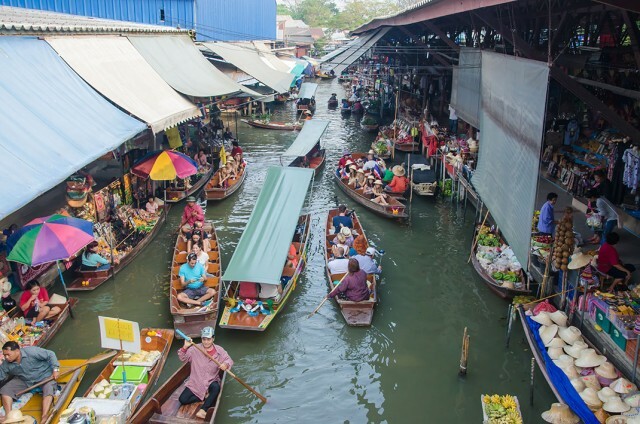 Thai territory has several floating markets, but among them Damnoen Saduak stands out most often. Located in the province of Ratchaburi, about 80 kilometers from the capital Bangkok, this market has the distinction of not being installed on land as stalls of vendors are on wooden boats. Damnoen Saduak is the name of the town that houses the super market called Klong Lat Phli. The market is made ​​up of networks khlongs (or channels) connected to their tributaries. In the past, Thailand was full of these channels, which earned it the nickname “Venice of the East”. 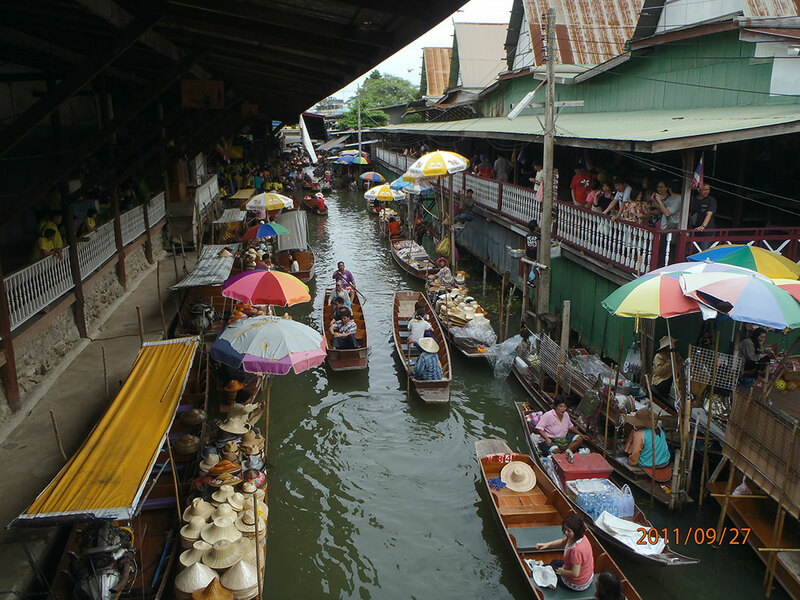 Today, especially khlongs home to traditional markets, such as Damnoen Saduak. Make a trip to Thailand without visiting the floating market of Damnoen Saduak is considered a sacrilege. This market is the most famous and also the largest made in the country. Extremely popular, it is active from 6 am to 11 am and it is best to arrive early to enjoy. 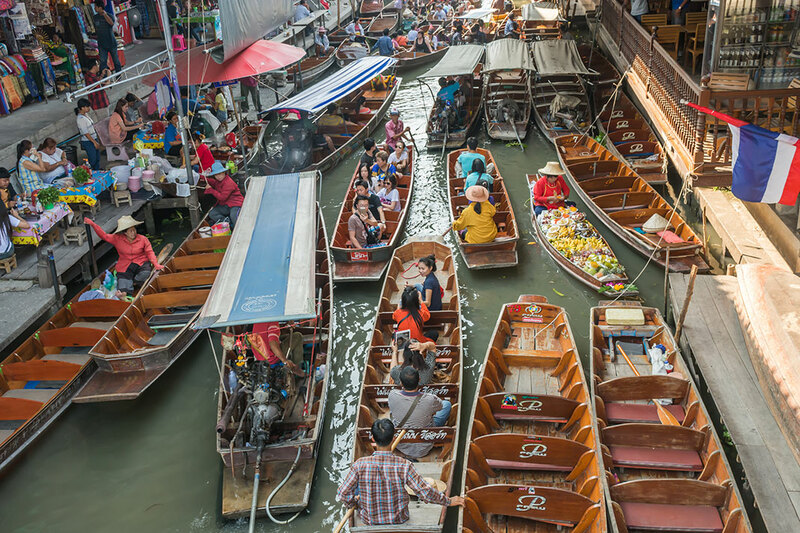 It may be interesting to rent a canoe to flow into the channel network, even if it is possible to visit the market on foot along the canals. A true delight for the senses, the floating market is full of traditional products, scented and colorful. Many women working in this market still wear traditional clothes: a blue tunic with a flattened conical hat on top. The sold products (fruits, vegetables, flowers) are consumables on site and are very accessible. 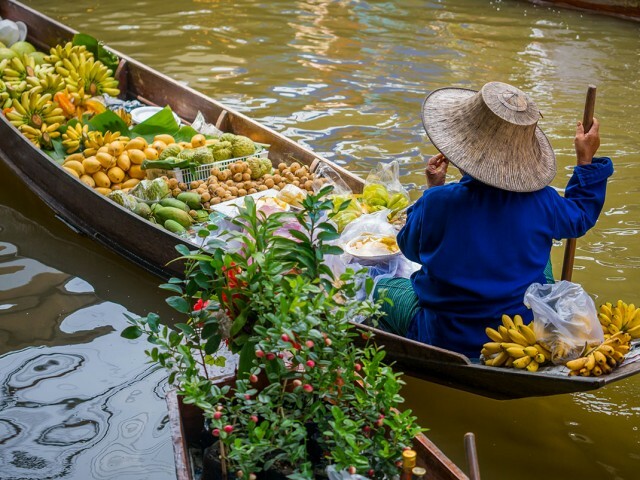 Visit the floating market of Damnoen Saduak allows us both to discover the Thai ancient culture and also have a different experience from what we know in the West. 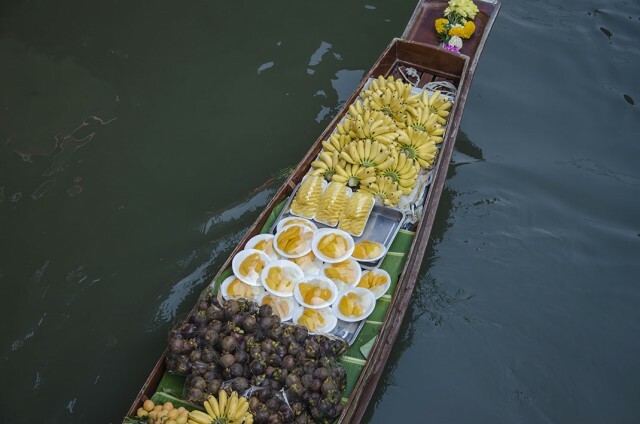 This water flower tour is a delight for the senses with bright colors and exotic perfumes. If the market Damnoen Saduak is the most famous, it is not the most traditional, due to the massive presence of tourists.